'The Best Profession for a Blackmailer': Mr Polopetsi, part-time mechanic and would-be assistant detective, takes on a case of his own; while Mma Makutsi finds out if blue shoes are the key to happiness. 'A Very Rude Woman': Precious faces change at the Agency, while Mr J.L.B. Matekoni meets the rudest person in all Botswana. 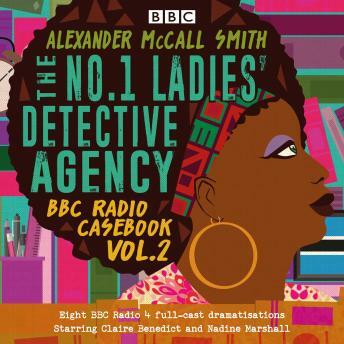 'Talking Shoes': A new detective takes on a case for the Agency, while Mma Ramotswe, among others, has a problem with high blood pressure. What made this audio book stand out from the others is the use of different actors to voice the characters. the sound effects used also enhanced the story.